In January, Melanie from I'm Not a Beauty Guru was my featured blogger. You can read that post and see other past featured blogs under the "blog of the month" label! Being my blog of the month gets you a designated blog post, a sidebar button, and a mention on my Twitter account. The sidebar button stays up all month long. I don't believe in necessarily making bloggers pay for advertising and I'd much rather show you blogs that I really enjoy reading. And I hope you end up enjoying them too! 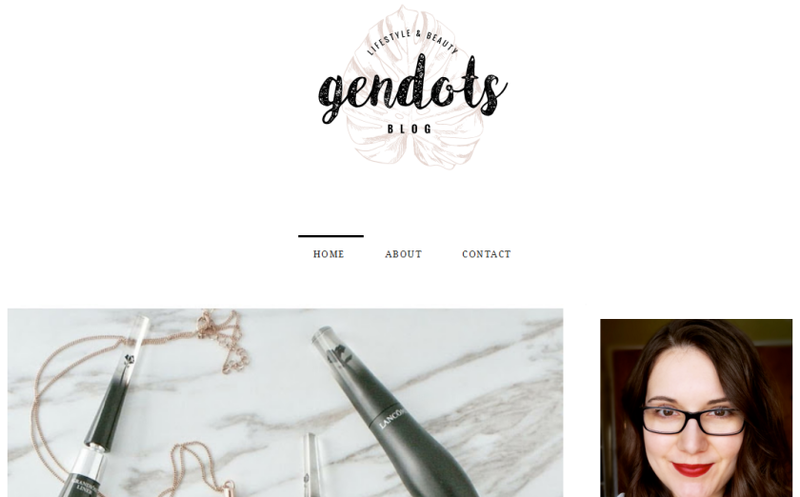 This month, I've chosen Geneviève from Gendots. She focuses on beauty and lifestyle posts and I always love her bright photos and reviews. She has some cats that are as cute as heck and she's a proud cat lady. :) She's Montreal-based, so you can catch glimpses of her city on her Instagram. And of course, there is makeup and reviews! Feel free to let her know I sent you if you stop by her blog.